Manually create a restore point in Windows 8 or 10 , which is especially useful, if you install programs, that you are not sure, whether this could have negative impacts on the Windows-8/10! Yes, you can create, every one can create the restore point! Then appears the advanced system properties in Windows (... See Image-2)! In "System Protection", simply click on the button "Create" and choose an appropriate name for the restore point. Create a restore point right now for the drives that have system protection turned on. Type a description to help you identify the restore point. The current date and time are added automatically. and The restore point was created successfully. (Image-5) Restore Point was created Windows Win 10 or 8.1! You can find available recovery points in the System Volume Information folder at the root of each partition on the disk that has system protection enabled. This is a system directory that can not be deleted, but you can reduce its size if necessary. By default, the folder is hidden. You can see it through File manager Q-Dir or other file manager, but you still can not open the directory without additional rights. Therefore, we will do without file manager and only configure access to the system folder. Windows-8 - FAQ-28: Can i manually create in Windows 8.1 / 8 and 10 a restore point? Windows 8 create restore point manually? Windows 8 creating system restore point takes too long? Windows 8.1 recovery point, win8 restore point? How to create a restore point in windows 8? How can i create hibernate restore point in windows 8? Manually set a restore date for windows 8.1? Manually restore date windows 8? 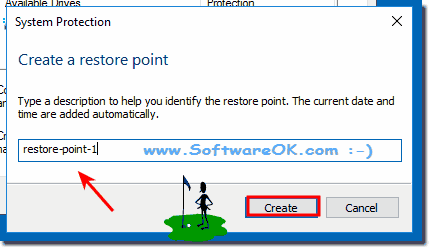 How to create restore point using cmd in windows 8? 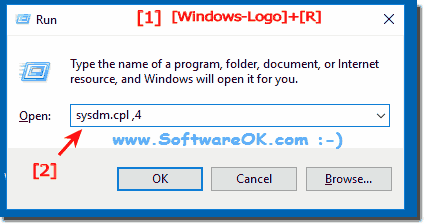 How to open system protection for windows 8 with CMD? Windows 8 and 8.1 shortcut to create restore point? How to create manual restore point in windows 8? Win8 restore point command line? Windows 8.1 indexing set to manual? Create restore point command line windows 8? Manually creating a system restore point for windows 8 and 8.1? What file will run system restore on windows 8.1 manually? Can not create a restore point in win8? How to manually create windows recovery disk? How to set restore point manually windows 8? Make restore point of hard drive at command line? Windows 8 manual restore point? Can i manually enter a restore date on windows 8? Eindows8 manual images, what exe creates a restore point in windows 8 in windows 8? Manually force restore points windows? Restauration point windows 8 and 8.1, manual restore in windows 8? Create restore point manually for windows 7 enterprise with cmd? Windows 8.1 System Restore Point? How long does windows 8 take to create a restore point? Windows 8 create restore point shortcut to Manual Restore Windows 8? Windows 8 and 8.1 restore point, windows 8 shortcut to create restore point? Command line create restore point windows 8.1? Windows 8 create restore point command line? Windows 8.1 create restore point command line? Windows 8 and 8.1, shortcut set restore point? How to create restore point using cmd windows 8.1? Can not create system restore win 8.1? System protection windows 8.1 cmd? How to create a manual restore point in windows 8? Windows 8.1 manually create restore point? Software for auto setting restore point in windows 8.1? 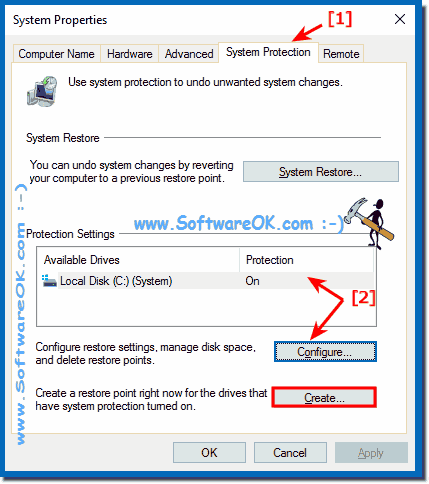 How to create a restore point using cmd in windows 8? How to set a restore point using command prompt in win8? How to manually restore windows 8? Creating a restore point manually windows 8 and 8.1 desktop? How to create a restore point in windows 8.1? Create system restore point windows 8 command prompt cmd? Manually setting date for system restore in win8.1? Windows 8 force restauration from cmd? How to force system restore on windows 8.1? How to restore windows system 32 logiDLA.dll for windows 8? View restore point on windows 8? Command to create restore point? Command line create restore point? How to create a system restore point using command prompt in windows? How to create restore point in windows 8 using command line? Create restore point windows 8.1? How do i enter a restore point manually on win? Windows 8.1 restore point command, windows 8 and 8.1 run command for creating a restore point? WIN 8 and 8.1 SHORTCUT TO RESTORE? How to manually create a restore point in windows 8? Can i manually create a system restore point on windows 8.1? How can I manually change restore poit in windows 8? Restore cmd to create restore point windows 8 and 8.1?